Like all the other major cities of India, Chennai is unique in various ways. This old historical city, drenched under the age of urbanization, has still not lost its traditional cultural values. In fact, Chennai has neatly weaved both the sentimental aspects of the present and the past together to create a land filled of wonders. 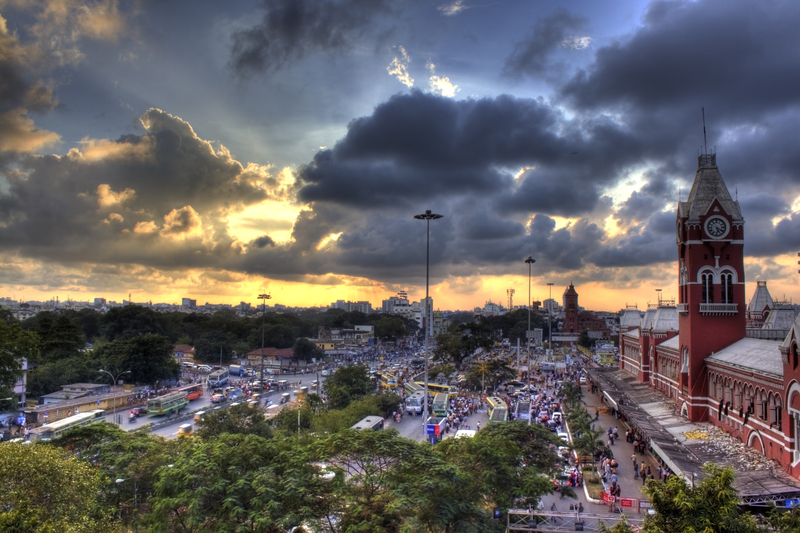 Chennai is one of the oldest and the biggest metropolitan cities in India. It also serves as the capital of Tamil Nadu and is considered to be a major tourist hub. While in Chennai, enjoy the vast and splendid beaches, rich architectural splendors, and the fascinating temples which are strategically placed in and around the city. If you have the chance to travel beyond the neighboring regions of Chennai, you may end up in the picturesque hill station of Ooty or experience the wild nature where tigers and elephants roam freely in the jungle. Chennai is located in the southern part of India. The South, which was once the house of the Dravidians from approximately 1500 BC, was considered an epitome of art and culture. The famous Cholas, Pandyas, and the Cheras established their formidable presence by the year 300 BC in this region located within Indian territories. That was the time when the region became a mecca of Tamil art and literature producing some of the most important classical works of Indian artists and scholars of the bygone age. With the progress of time, the West, during their visit found massive potential to setup a trading center in this land. The Portuguese first constructed and settled their establishment in this region and converted it into a major port to conduct trade and business in this land. Later, as the bitter fight of other colonial rulers ensued to occupy this territory, the region saw many deadly wars and finally the British took over the dominion, marking Madras (early name of Chennai) as one of their most important administrative zone, until India achieved independence in 1947. According to the census of 2014, the current population of Chennai has around 8.6 million residents. The two major rivers of Chennai Cooum River and Adyar River meanders through the city, before draining out into the Bay of Bengal. The official language of the people of Chennai is Tamil language . 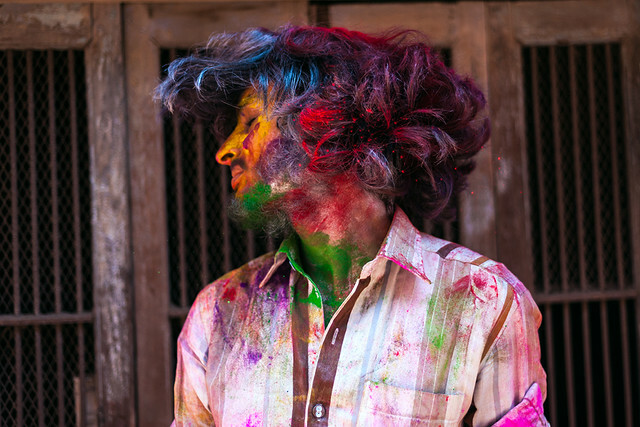 However, most of the people are aware of English and also Hindi (however English is more preferred as their second spoken language by the locals in this city). 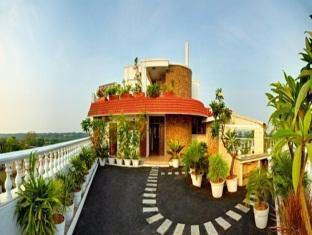 Following are some of the most important locations that you should surely visit while in Chennai. There are only three churches in the world built over the tomb of an Apostle of Christ. Two of them are situated in Rome and Spain, and the third one is at Chennai. The present shrine is built over the tomb of St. Thomas the Apostle, who came to India in 52 AD. In recent times, two more additional structures have been laid out over here, a museum or theater hall and the Tomb Chapel. The chapel stores valuable works of art besides the prayer area. The theater often screens short documentaries of the life and history of the Apostle. On the 3rd of every month, the church host celebrations to commemorate St. Thomas Day. 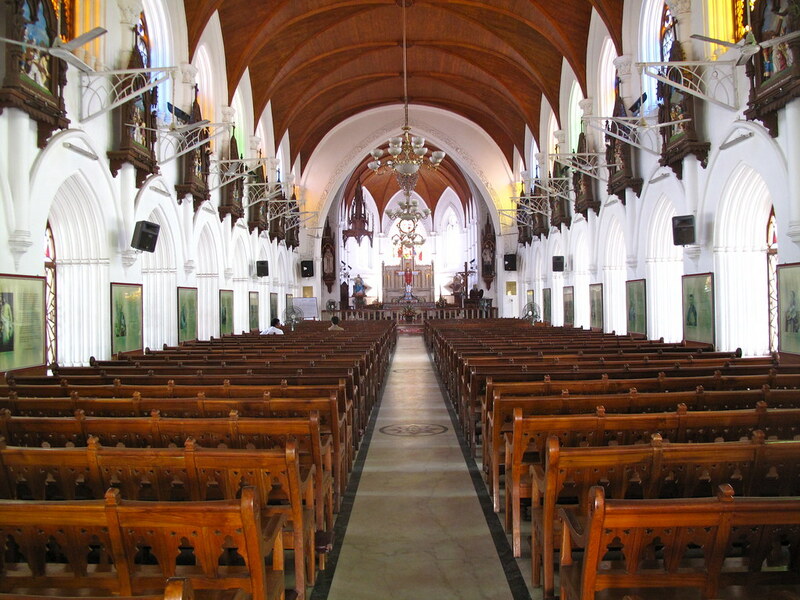 It is the oldest church built by the British during their reign in India. The interior of the church is designed with fascinating monuments and plaques, which will help you to derive an idea of its glorious past. The church is opened every day from 10 AM – 5 PM, except Fridays. Built in 1523, this church is located on the top of a mountain and is very close to Chennai International Airport. According to some mythical stories that are related to the church, it is said that the shrine was built in the location where St. Thomas died. In order to reach top of the mountain, you need to climb a flight of 160 steps. The view from the top, overlooking parts of Chennai city is a beautiful sight. Another important landmark of the Hindus, is the temple that is dedicated to Lord Shiva. 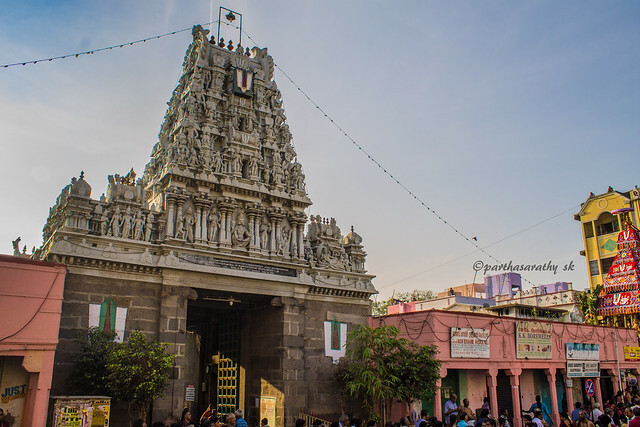 Built in the 12th century, the temple now stands in the neighborhood of Mylapore. Owing to the religious importance, the temple is always crowded with devotees. There is also a beautiful tank adjacent to the temple, which is used for the purpose of religious festivals or for special, auspicious occasions. This important temple, built in 8th AD was dedicated to Lord Krishna. The façade of the temple is decorated with marvelous sculptural artworks, which will give a clear account on the level of mastery the artisans had even during those ancient times. 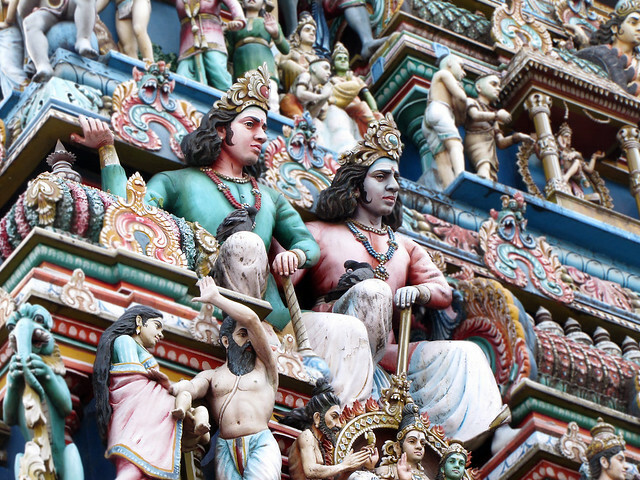 It is one of the oldest temples in Chennai supposedly to have been built during the 8th century. However, the present structure of this religious edifice was built during 1600 AD. The Gopuram (entrance), of this temple which is around 121 feet high is indeed an architectural splendor of its own kind. There is a large beautiful tank at the back of this temple, which is mainly used on special religious occasions. A 101 foot high temple built in the structure of a chariot, this memorial was built for Tiruvalluvar – a renowned poet and saint of southern India. The memorial is located near Nungambakkam. According to the historical records, the city of Chennai grew around this fort, located on the banks of Bay of Bengal. It was regarded as one of the most important landmarks of the British as it is the sign of their first establishment in the southern parts of India. Inside the fort, there is an interesting museum showcasing a large number of artifacts and a vast collection of old books and pamphlets, well-preserved since the British rule. St. Mary’s church is also located inside this fort and some parts of it are currently used by Government offices. Visiting a museum is probably the best way to understand a region and such is the importance of the Government Museum in Chennai. 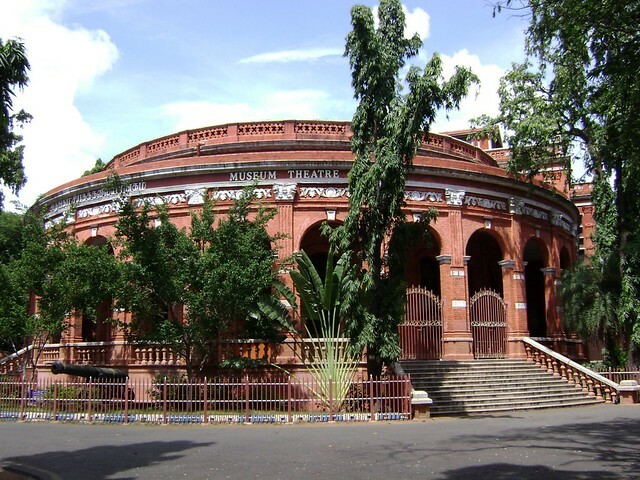 This sprawling museum was established in 1857 on 16.25 acres of land, which is located at Egmore. A sum of six buildings with 46 multi-purpose galleries, this museum is an important tourist location in this city. However, some of the galleries do not open regularly. The museum operates from 9:30 AM – 5:30 PM. It remains closed on Fridays, besides other designated Indian national holidays. The entry fee to the museum is nominal, and you have to pay extra for video and still photography. Established in 1907, this building is an Indo-Saracenic structure and is made of red-sandstone. The architecture of this gallery also bears similarity to that of the Mughal architectures. Inside the gallery is a vast collection of artworks from early times to the modern famous painters of south India. The museum also showcases various miniature works of the Mughal paintings and art-forms belonging to the Rajput era. The National Art Gallery is located on Pantheon Road in Egmore. The museum remains open from 9:30 AM - 5:30 PM. As a foreigner, you need to pay an entry fee of $ 5.00 USD . A tour of Chennai is not complete until you visit the beaches. There are four main beaches in Chennai- Covelong, Edward Elliot's, Breezy and Marina Beach. Once a quaint fishing village, this beach now has some of the best holiday resorts in Chennai. 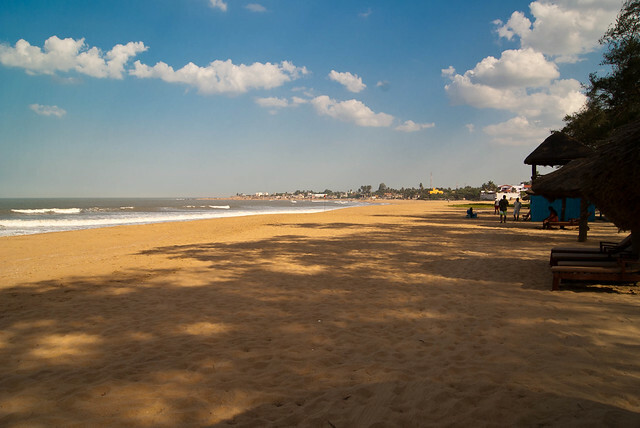 A quiet beach located near Besant Nagar, it is often frequented by the youthful crowd of the city at night. The beach is less-crowded during the weekdays whereas it gets particularly crowded in the weekend as many people come here for relaxation. This beach is probably the best place if you are looking for tranquility. The gentle breeze from the sea and an evening walk is just the perfect way to unwind after a hectic day in solitude. It is located near Valmiki Nagar. This beach is one of the most visited beaches of Chennai. Most of the tourists are aware of this location and they usually end up here along with the local people of Chennai. Marina Beach is up to 7 miles long, making one of the largest urban beaches on the planet. While living in Chennai, you can also visit the surrounding regions like Bandipur National Park, Madurai, Thrissur, Mahabalipuram, Pondicherry, Coorg, Ooty, Sakleshpur, Mudumalai National Park, Biligiriranga Hills and Kabini. All these places have earned their reputation as a tourist destination and can be reached overnight via road or railway. Chennai is an epitome of South India’s art and culture and the city celebrates various festivals to keep the tradition alive. Some of the major festivals organized are Dance and Music Festival, Natyanjali Dance Festival and Pongal . With the increase of commercialization and the rise of the population, Chennai offers different modes of transport to travel within the city. There are city state buses, taxis, and autos that you can avail of while traveling in this city. However, be sure to deal with the fare beforehand when you opt for an auto or a taxi. Another safe option is to hire a private car to roam around Chennai. Chennai is well-connected with other parts of the country alongside various international locations. 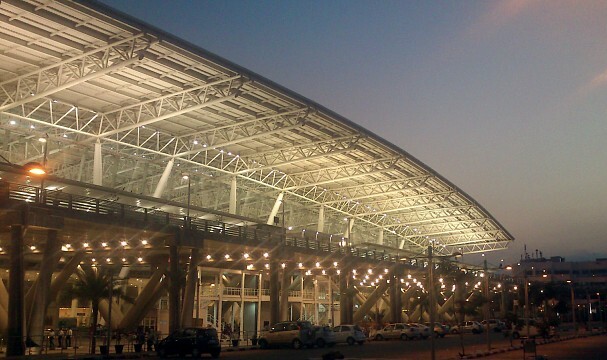 The Chennai International Airport is connected to many global destinations along with its domestic connection with major Indian cities. Chennai is well-networked with different parts of the country via Indian railway. The National Highway also touches the city, which offers strong surface transport services with other parts of India. Chennai is an important city and have numerous accommodation facilities for tourists. While some are budget-friendly, others are meant for real luxurious living. Some of the major budget hotels in Chennai are Hotel Akshay Inn, King's Hotel; Sea Shore Inn, Surya Hotel; Kavithaanjali Guest House, Sathyam Grand; Liberty Park Hotel, Ginger Hotel; Mahalaya Residency, Flamingo; Deccan Plaza, Beverly Hotel; The Royal Regency, Hotel Mount Heera; Hotel Shelter, and others. If you plan to stay in luxurious hotel, some recommended names are Taj Coromandel Hotel, ITC Grand Chola, Vivanta, Trident Chennai, Hyatt Regency, The Leela Palace, Radisson Blu Hotel GRT, Hilton Chennai, Le Royal Meridien, Sheraton Park Hotel & Towers, Park Hyatt and The Taj Gateway Hotel. Idli, Sambar (dish), Dosa, and Uttapam – These are the most popular foods of the South. Tamarind, coconut and asafetida are generally used in all types of vegetarian dishes. The South Indian Thali – a staple food for the people of Tamil Nadu consist of rice served with different vegetarian recipes. In non-vegetation meals, chicken recipes are popular among the people, especially Chettinad Pepper Chicken. Besides, there are also a number of restaurants which serves continental foods. Chennai falls under the tropical climatic zone. The weather remains hot and humid all throughout the year. However, during the winter season the weather becomes moderate. Thus, the best time to visit Chennai would be from October – March.